Strawberry plants are perennials. The fact that you can reap the benefits of your labor over the span of multiple years is a great benefit. However, to ensure that the strawberry plants survive the harsh conditions of the winter months, a little extra tender loving care is required. As discussed on the Growing Strawberries page, June-bearing strawberries need to be renovated each year. One aspect of the renovation process that confuses some people is the mowing strawberries part. “Mowing strawberries! You must be kidding, right? You surely don’t mean running over your strawberry bed with a lawn mower?! !” Actually, that is exactly what it means. And, hopefully, this post will help you understand how to mow strawberry plants and give you the confidence you need to begin mowing strawberry plants in your own garden. WHY DO YOU NEED TO MOW STRAWBERRIES? Mowing strawberry plants serves several functions. As part of renovating strawberries (see the Growing Strawberries page for more details), mowing helps increase the subsequent year’s strawberry yield, extend the vitality of both the strawberry plants and planting area, and facilitates the rest of the renovation process. When the harvest ends, the growing season for the following year begins as flower buds and runners are produced. June-bearing strawberries are usually the only types of strawberries to mow. Day-neutral and everbearing varieties are generally not mowed. For the June-bearers, the time to mow strawberry beds is within one week after the final harvest has been reaped. It is best to mow strawberry plants within one week after they produce their last harvest. Mowing strawberries after this week will likely result in damage to new foliar growth. No strawberry plants should be mowed after the first day of August. The flower buds will begin forming around the middle of August across most of the United States, and overhead strawberry leaves are needed. If a very late season variety was planted and harvesting is occurring in the last week of July, mowing probably should not take place. Also, if the strawberry plants are thinly spaced within your garden or strawberry patch, either forego mowing the strawberries or raise the deck of the mower so that the strawberry runners won’t be destroyed and will be able to root afterward. Mowing strawberries may sound drastic, but it is easy. Take your chosen rotary mower and set the deck so that it cuts a full inch above the strawberry plant crowns. Then mow over the plants. Easy as pie. As some varieties of strawberries are particularly sensitive to hot, dry weather, it is a good idea to water the plants prior to mowing. Jewel strawberry plants are particularly sensitive, and some plants may die after mowing a strawberry bed during hot and dry weather. After mowing, rake up the debris and leaves and remove them from the garden. This helps air circulate and removes a hospitable environment for fungi and other strawberry plant pathogens. The moist or rotten leaves and congested areas are a haven for things that hurt strawberries, so rake soon after mowing. If you have a raised bed or unique gardening system that prevents running a mower over your strawberry plants, other alternatives can be substituted. Pruning strawberries can be done with any type of pruning shears or applicable scissors. 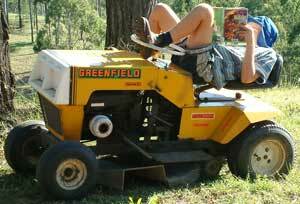 Additionally, if skilled with a weed eater, they can be used also. However, due to the instability of your typical weed whacker, they aren’t recommended. It is just too easy to permanently damage or kill your strawberry plants with an errant tilt. If you prune strawberries with shears or scissors, it will take longer than mowing your strawberry plants. When trimming, cut about 1 inch above the crowns. 1. Mowing strawberry plants as the first step in renovation makes the rest of the process easier. The beds will also appear more orderly. Mowing strawberries is not all that complicated or difficult. However, it is important to remember two final things. First, crown placement is important and should be noted. If the crowns were not set properly at planting and are too high, the mower deck will have to be raised to accommodate them. Also, the top part of the plants may look terrible after mowing. Fear not! The roots and crowns will be totally intact and happy and will continue producing delicious strawberries! And, if you have a raised bed or other difficult-to-mow area, remember that you can always prune strawberry plants by hand. I have a raised bed and cut back all the strawberries in July after harvesting. They have all regrown into lush green plants (some even produced a few berries) and I don’t understand if I should have pruned them again for the winter in August or are they supposed to go into the winter with fresh green leaves? Unfortunately I don’t know what varieties I am growing. Or should I only prune them once a year in August? Thank you! I’m in Michigan and have June bearing strawberries. It is the end of August. Can I still mow my strawberries or will I do more damage than good? I planted a strawberry tower this spring which grew marvelously, pinching off all buds. Winter will arrive in a few months and I will bring them into a mostly dark, unheated basement until spring. I will cut off all runners when I do that. My question is should I trim back the foliage to an inch or two of the crown when I bring them in or just leave the plants alone? Am leaving a reply to my own post because I found the answer. After several nights of below freezing temps when the plants are in dormancy, bring them inside without removing the foliage and keep them minimally damp until spring arrives. I think I have the perfect environment to make that happen in my unheated basement. For my zone that should happen no earlier than December. 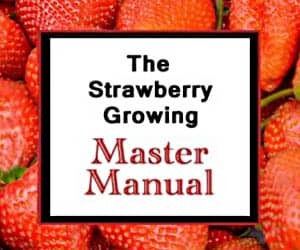 This is really a great place to learn all there is to know about growing strawberries. I have been battling black spot on my strawberries every year. I started new two years ago with raised beds, but still get the spot even though I spray with neem, copper, and serenade. This year, I heard about mowing and I cut off all the leaves after the June. My plants looked great after they regrew, but once again acquired spot and now it is all over them. Should I cut them back again (first week of October), or wait to cut until they grow dormant, or should I leave them be until spring? I’ve looked everywhere online, and no one else seems to mention what to do in this case. Thank you. Hopefully entries 0008, 0019, and 0029 in the Strawberry Plants Library will help you. Good luck! Hello, last year my husband mowed over our strawberries after the June harvest and this year my berry patch continues to be overgrown with weeds that have choked off my strawberry plants resulting in decreased plants even though I continue to try to stay on top of the weeds. Is there something I can put on to kill the weeds but not the strawberries? I have never had an issue with weeds like this in my berry patch in the past. Hand-pulling the weeds is typically the most effective and safest method, but it is time intensive. You can very carefully spray with herbicide, but if ANY of it gets on the strawberries, they will die also. Plus, the herbicide is not safe for human consumption if some gets on berries. You can get a flame weeder that basically uses a torch to specifically scorch and burn up the weeds. Regardless, applying a liberal layer of clean straw as a mulch can help with weeds (but won’t prevent them completely). Good luck! Typically, you only want to renovate June-bearers. So, with a mixed planting like yours, I would probably hold off to ensure I got the maximum Pineberry harvest. Even though they are June-bearing, they will often have onsies/twosies blooms throughout the year, and the pollen from the Sonatas can really help the production of the Pineberries. So, I’d leave them be. Good luck! We have about 10000 camarosa planted in Feb/Mar 2016. They continued to fruit until Jan 2017. They are now producing abundant runners. What is the best way to renovate them? They are on raised beds covered in plastic. We are located in Bundaberg, Queensland, Australia. Thanks for your help. It is difficult to appropriately renovate with the plastic on. If you have a drip irrigation system installed underneath the plastic, you can add soluble fertilizers to the water source and workaround that way. Or, you can remove the plastic, if possible, and renovate like this. Good luck! We stated a new raised strawberry bed this summer. We live in northeast Iowa. We did not harvest them but did pick off the buds. Should we mow them off in Oct. or Nov. before we mulch them? We planted June bearing plants. Once the plants go dormant, gently rake all the dead leaves/vegetative matter off and then mulch. It is a little too late to mow this year, although you probably could do it without causing any damage. Good luck! I am planting about 3000 plants this year of two ever bearing day-neutrals and one June bearer. I am in souther California. My questions is do I need to buy new plants each year and pull out my old ones or can I plan to leave the plants where they are for a few years before buying new plants and replanting? If I leave them, do I want to leave only the runners, only the old plants or a combo of both? Can I use runners as if they were new plants and transplant them elsewhere the following fall? Some of my plants are in ground and some in gutters. I’m curious if your answers to the above questions change in the gutter context. If you are planning on running a commercial operation, the June-bearing options is probably best for total yield. If you are using hydroponics, day-neutrals do well. As for the planting method, use the search box at the top right of this page to search for “matted row” and “plasticulture” to learn about the two major growing methods. Good luck! Most likely, you have a pest that is feeding on the berries. That will often cause what you describe. And, yes, you can still mow if you do it soon. Good luck! Thanks… Someone told me I needed to add calcium and boron during fruiting. Would that help? If it is an insect how do I identify it. I don’t “see” anything but it may not mean it’s not there. I’d rather not use chemicals. What else could I use? You might want to try a liberal application of diatomaceous earth. Good luck! Last fall I started a strawberry bed in my garden that includes All Star, Honeye, Surecrop, Earliglow & a variety I purchased on eBay referred to as Gigantic due to the berry size. It is now the middle of June and all of the plants seem to be done producing berries for this year except for the Gigantic. The plants have sent a lot of runners. When should I mow, mulch and fertilize? Is it expected that the berries would be done producing already for the year?? I’m new to strawberries so I appreciate any and all info that is provided – thanks in advance! Unfortunately, in my estimation, most of the people selling strawberry plants on eBay that don’t sell a well-established variety are just re-naming some other variety (who knows which it might be) that they purchased for cheaper somewhere else. All four of the other varieties are June-bearing varieties and will be done producing their major crop soon, if they haven’t already. For what to do and when, I’d recommend starting here. Good luck! I have roughly 2 dozen plants in some pots. When planting them they only put off a few fruit but the plants are still green and continue to grow. I’m in Alabama it is October 21. What should I do to ensure they produce next season? Thanks! In mid-July, after our strawberries were finished for the year and we were home from vacation, I cut back all the plants to about an inch above the crown as you suggest. The plants have grown back and the patch is covered in green leaves. However, it also appears that runners have been shooting out and planting themselves. I think there may be more plants than I intended. It is now mid-October and we’ve had freezing temperatures at night the last couple days. Can I still cut of the runners and remove the plants I don’t want so the patch won’t be crowded in spring? Gently rake any dead foliage and plant matter out of the bed and mulch well with clean straw when the plants enter dormancy. Good luck! Thank you. Had vigorous strawberries for two years, near Richmond, VA and wire-grass has gradually moved-in. Past two years, I covered strawberry leaves for winter with pine-tags and, by summer, tags served as mulch to keep weeds down. This year, due to particularly early-season wet weather, weeds flourished as did strawberries, but now weeds seem to almost engulf the strawberries and are about two feet high. Wondering if cutting back to about two inches high and then pulling weeds would be recommended or must weeds be pulled though strawberry leaves are no longer visible in some rows. Any recommendations welcome for saving the strawberries. The weeds definitely need to be pulled. You could mow the whole bed, but that would likely make the weeds harder to pull as well. I’d recommend pulling the weeds through the strawberry foliage. Good luck! Hi! I just moved into a new home that had a raised strawberry bed in the backyard. The neighbors said it produced tons over the summer! It was horribly over-grown with weeds, so I have taken care of that, but about half of the plants are totally brown and dead looking, and half are green with a few flowers. It is mid September now. What should I do to help them through the fall and Tennessee winter so that they produce next season? I planted June bearing Strawberry plants last year and we had a great harvest this past June, but I didn’t know I should have cut them back. I live in New Hampshire and it is the end of August. Should I cut them back or is it too late and I should just leave them and winterize in November? You can go either way. There is probably still enough warm weather, but whichever you choose, you should remove all the dead or dying plant material from the bed. I would probably just wait and winterize if it were me, however. Good luck! Last year in July I mowed my strawberry patch and removed most runners. This year I had a bumper harvest – 80+ lbs from 13’x24’patch. I failed to mow them down in July as I was out of town most of the month. Strangely, some of my June-bearing plants have put on another crop – I just harvested a couple pounds today and might get enough to pick some more in a couple days or a week. Is this normal, or bad? Should I continue to harvest what grows? Is it too late to mow them down? It is normal for a smattering of berries to be produced after the main crop comes in. It sounds like you might have had a bit more than is to be expected for June-bearing varieties, but they should do fine. If you haven’t renovated, it is probably best to go ahead, although it is a bit later than usual. Good luck! My daughters received a strawberry kit as a gift and we planted them last summer. This year they started producing berries and were accidentally mowed down. Do the have a chance to come back next year or are they done for good? As long as the crowns weren’t damaged, they should pop right back by the end of the summer. Good luck! If you haven’t actively managed your strawberry patch, it is likely that the runner plants that have rooted have become too densely matted to allow for all of them to produce well. Too much competition for nutrients will lead to smaller berries. You may want to thin the plants if you have more than 2-3 per square foot. Good luck! I planted june bearer plug plants last week.We just had our first frost warning here in east central Mo. Would’nt it be a good idea to cut the plant back with scissors?Thought this might help the roots to get a better hold before the freeze. No, I would let them be unless it will be a hard frost. Strawberry plants do fine even at 32 degrees Fahrenheit. It isn’t until the temperature stays in the twenties for several nights that they will go dormant. So, I’d let them make the most of the warmer days with their foliage intact. Good luck! I planted two 50ft rows of June bearing berries this spring. 1 allstar and 1 earliglo side by side with rows about 4 ft apart and with the plants 18 inches apart. The plants are doing great, but I wasn’t able to control the runner growth and it looks like 1 big 6’+ ft wide row now. I started to just weedeat the center out and then run the roto tiller between, leaving two 18 inch ish rows like was intended. Would it be best now to wait until they die back, roto till between, and thin the plants to 4 to 6 per square foot when I can better see what is/was under the mass of green. And just so I am clear, since it was their first year I did or didn’t need to mow/renovate in July? I should now mow them off after they die back and go dormant before mulching, after a 3 or 4 days of 20ish degree temps? Sounds like you have some truly matted rows! It is good to separate the rows, if only to keep it so you can know which plants are which. At this point, I would probably wait until the plants go dormant, however. Be sure to gently rake out all the dead and wilted leaves once the cold hits. Then, mulch with straw or other appropriate mulch. Good luck! I have a raised bed of ever-bearing strawberries. This is the 2nd year for them. The bed is now very crowed; way too many plants. Should I remove some now before winter; or, wait until next spring? Go ahead and remove them. You can transplant them elsewhere if you’d like! Good luck!